Ann Coulter To Trump: You Will Be Impeached - Joe.My.God. Ann Coulter raged against Trump this afternoon over his empty threat to veto the spending bill because it contains no DACA solution. If Coulter’s jumping on the I-hope-Robert-Mueller-indicts-Trump bandwagon, this could indicate a significant shift in her opinion on the president. 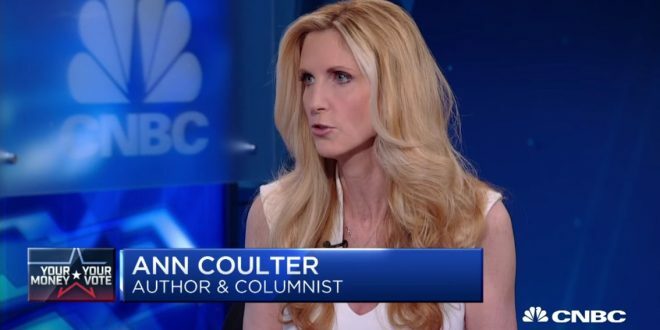 Indeed, the conservative firebrand has bashed Trump before and said she has a limited amount of patience to see whether Trump follows through on the tough immigration rhetoric he spoke of in the past.